The shooting down of the Russian military aircraft Il-20 in Syria is a tragic but rather predictable incident of this incessant war. Even in a traditional war with a clear frontline and a clear enemy there are cases of the so-called “friendly fire.” And in the war in Syria this is all but strange, because there are a lot of conflicting intertwined interests, a large number of warring parties, sporadic military operations. 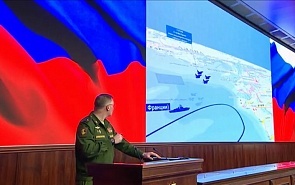 The sharp reaction of the Russian Defense Ministry, accusing Israeli pilots of provocative maneuvers and deliberately putting the Russian aircraft under the fire of Syrian air defense, was softened by the Russian president’s subsequent statement, indicating that the incident was the result of a chain of tragic accidental circumstances. Vladimir Putin also said that Russia’s response would be primarily aimed at providing additional security for its servicemen and facilities in the Syrian Arab Republic. Nevertheless, the Russian military continues to insist on the guilt of the Israelis, despite refutation of this in the investigation documents submitted by the delegation of the Israeli Air Force, which visited Moscow on September 20. Some Russian experts also believe that the incident could have occurred because of insufficient technical training of the Syrian military. The catastrophe over the Mediterranean Sea and the death of Russian officers is a heavy national loss. It is necessary to understand who is responsible for what happened. Israel seems unlikely to be interested in such a crack in cooperation with Russia that developed since 2015. Throughout all these years, the mechanism to prevent conflict situations, created by Russian and Israeli military, functioned quite successfully. Russia understood the insistent demands of the Israeli leadership to take into account the interests of Israel in the process of the Syrian settlement. It is unacceptable for Israel to preserve Iran’s presence there, which is viewed today as a source of existential threat to the Jewish state, as well as the use of Syrian territory as a transit corridor for replenishment of Hezbollah’s arsenals. The peculiarity of the situation is that by concluding agreements with Israel to prevent conflict situations, Russians were aware that Israel had for many years carried out airstrikes at convoys transporting weapons to Hezbollah through Syria and other channels. Violation of the norms of international law is obvious here, and therefore the Israeli authorities have never officially taken responsibility for these actions, avoiding the negative reaction of the international community. Only in September of this year, on the eve of the tragic incident with Russian plane, reports appeared in the Israeli media about the so-called “battle between wars,” which confirmed that since early 2017 Israeli air force attacked targets in Syria more than 200 times. Most of these raids were aimed at undermining the Iranian presence in Syria. It is not ruled out that the agreements with Russia played a certain role in these frank confessions from Israel, and Moscow actually took into account the difficulties of the current situation for Israeli security. In recent decades, the Middle East often remained outside the legal framework. Is there anything legitimate in Iran’s intention to send modern high-precision weapons to Hezbollah with which Israel already waged a war in 2006 and which is regarded as one of the main enemies in the Israeli security doctrine? What state would be indifferent, looking at the creation of hostile infrastructure near its borders? Unlike its neighbors Egypt and Jordan, Israel is not bound by peace treaties with either Syria or Lebanon. It is not surprising that the incident with the Russian plane has already stirred up a new wave of threats against Israel, both from the leadership of Hezbollah, and from the Syrian media. The question arises whether the shooting down of the Russian aircraft is a consequence of the lawlessness that prevails in relations between the Middle East actors. Having entered upon this ground and constantly stressing conformity of its actions with the international law, Russia volens nolens became the victim of a game without rules that has engulfed the Middle East. As a result of the incident, Russia temporarily closed part of the airspace over Syria, notifying Israel and NATO about this. There are fears in Israel that the former freedom of action of its air force will be limited. Russia has already decided to supply S-300 air defense systems to Syria. However, neither Russia nor Israel are interested in breaking the established interaction. Overcoming the chaos prevailing in the Middle East, ending wars and armed conflicts is a long-term task. But already today the international community needs to think about far-reaching, long-term plans for the restoration of the Middle East. It is hardly productive to push Israel to an alliance with the Arab Sunni countries for confrontation with Iran, as the American administration is doing now. The only sure way is to work on the creation of a regional security system that will help ensure normal existence of all local states. The idea is not new. At one time it was put forward by the Soviet leadership, it was supported by famous Israeli politician and statesman Shimon Peres. History shows that there is no other alternative to chaos and endless wars.